By Leanne Tan in Coding. Updated on April 11, 2018 . The Internet has changed the way we learn things – it ranges from a simple Google check to learning whole university courses online. More importantly, it allows us to not let age, nationality or geographical barriers to stop us from making a name in the tech industry, and in the case of these 10 young rising stars, what they too from the Internet, they gave back. 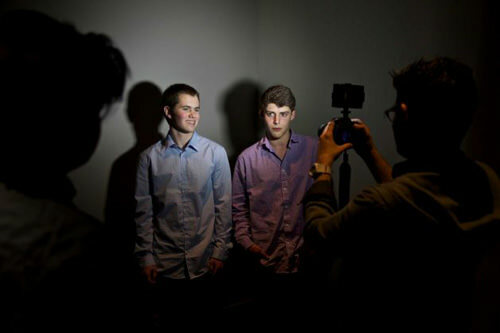 Driven by their curiousity and go-get ’em attitude, these teenagers created apps after teaching themselves how to code. 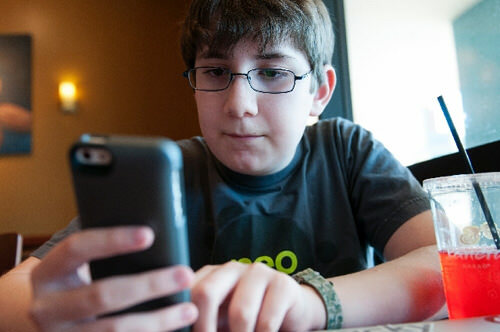 Whether the app solves everyday problems or its a game that will be the next candy-crushing phenomenon, there’s no doubt that for these youngsters age is truly just a number. 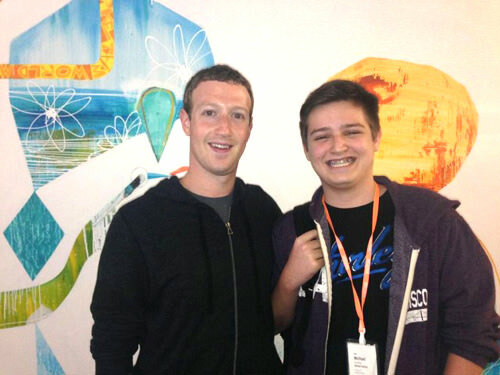 You may have heard of this 17-year-old when he was featured in Facebook’s annual conference f8. 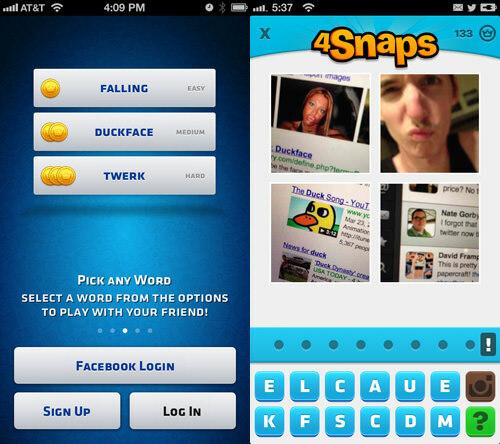 Michael Sayman is the creator of word game 4 Snaps in which players take photos that make up a word, for others to guess. His app generated enough buzz that he was headhunted to intern at Facebook, where he got to meet Mark Zuckerberg himself. Learning to code when he was 12, Michael got inspiration for 4 Snaps when he saw his sister texting a friend pictures to guess a word. Eventually he got around to producing an app that lets you turn this into an actual game. The earnings he got from the app could not come at a better time – it helped his family get through tough times during the 2012 recession. Brittany Wenger could change the face of medical history with her breast cancer diagnosis app. Inspired by her cousin’s breast cancer diagnostic process, Brittany set about researching, developing and testing her own version of a diagnosis program. 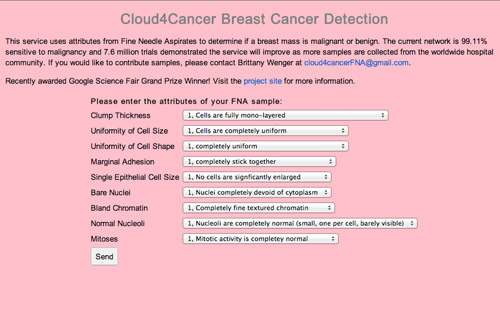 Named the Global Neural Network Cloud Service for Breast Cancer, the program is able to detect 99 percent of life-threatening tumours. 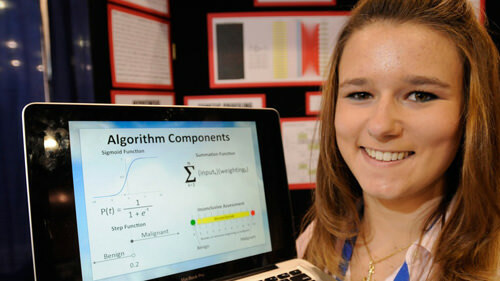 She won the Google Science Fair in 2012 with it. The app may not be released yet but it will be when Brittany has set up an online app for doctors to contribute data, and after the program undergoes testing at two research centres. Brittany, 19, is presently attending Duke University. 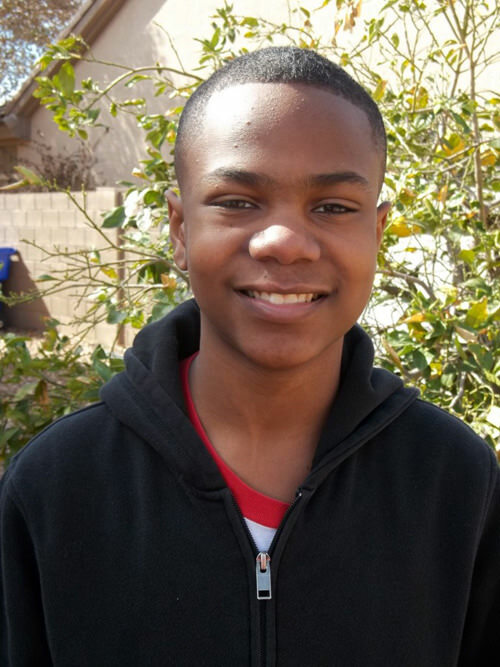 This 13-year-old drew inspiration for his first app when his mother was trying on outfits. After complimenting his mother’s looks several times, Ethan decided to record a few phrases and play them back. 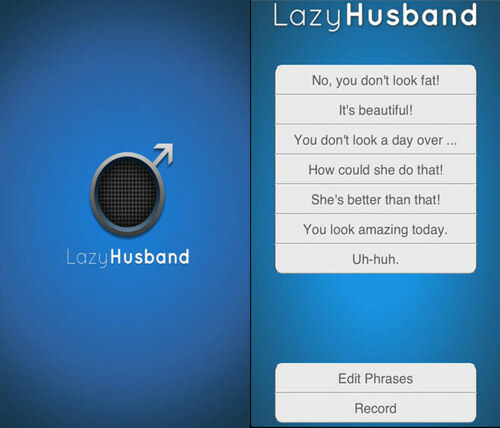 The idea of the app LazyHusband (iOS, Android) was born and everywhere, husbands lead easier lives when asked difficult questions by their spouses. Just last year, Ethan and his father attended the South By Southwest (SXSW) festival in Austin, Texas to launch his app. Following the success of LazyHusband, Ethan went on to expand a Lazy series with LazyWife and LazyKid. He didn’t just stop there: the apps Bargument and PL8SEE came into being soon after. Pretty amazing feat for the youngest member of the Vegas Tech community. Two heads are better than one, and in the case of Ryan Orbuch and Michael Hansen’s case it lead to a runaway task management app. Ryan was studying for a test when he procrastinated by sketching a to-do-list app. He then forwarded the idea to his friend, Michael, and the pair started working on what would become Finish. Michael handled the coding whilst Ryan focused on the user interface and experience, design and marketing. Both were 15 when they started. The app was eventually launched in January 2013 and garnered 16, 500 downloads in a month. 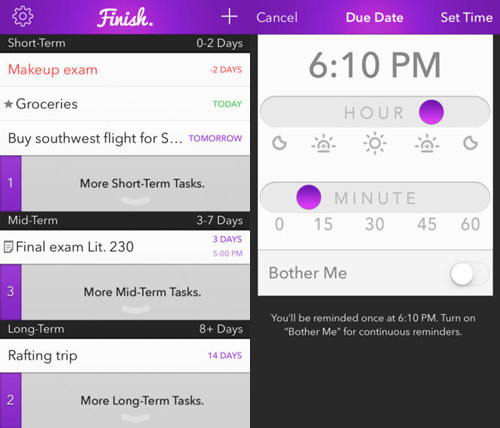 Both, now 17, have spoken at this year’s SXSW conference and relaunched a free version of Finish with paid add-in functions. Revising for a history test is probably frustrating enough even when you don’t trawl various websites for information. 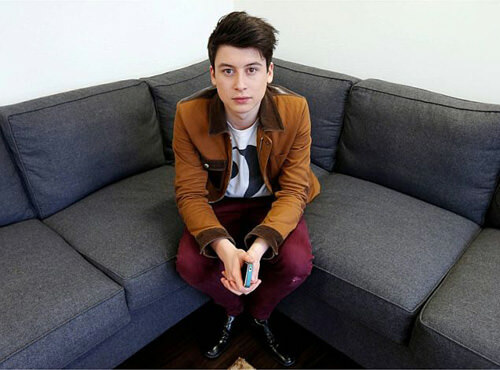 For 16-year-old Nick D’Aloisio, it got him thinking of an app that will summarize news content from major news sites for easier reading on smartphones. He started on a prototype app that was later called Summly and managed to obtain funding from Hong Kong billionaire Li Ka Shing, followed by Ashton Kutcher, Yoko Ono, and Rupert Murdoch to name but a few. 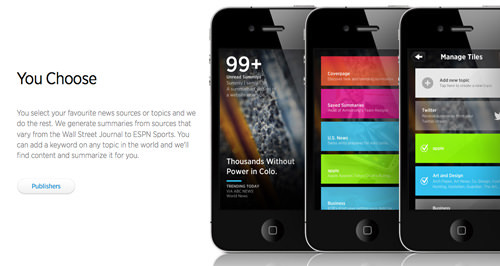 Summly was launched, and gained close to a million downloads in a mere four months. Last year, Nick and his app attracted Yahoo’s attention; the company proceeeded to buy Summly for $30 million dollars and the app’s algorithm is now used in the recently unveiled News Digest (iOS, Android). Nick is now 18 and a Yahoo employee. Julian Wyzykowski is probably like any other teenager who is into digital games. 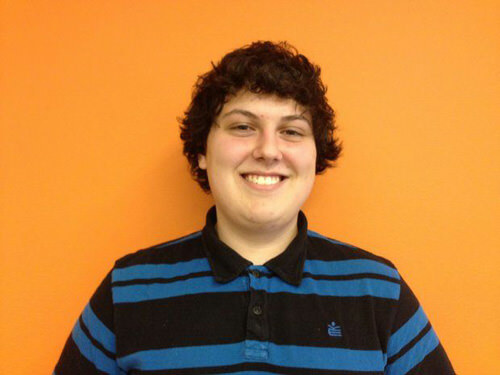 Unlike a regular teenager though, Julian is so into games that he got into the business of developing them. 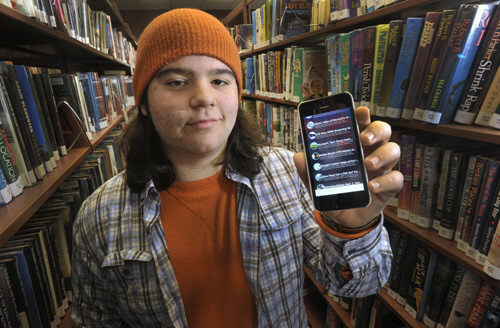 To date, the 16-year-old has created eight mobile apps and games, and has his own company Combustible Games. 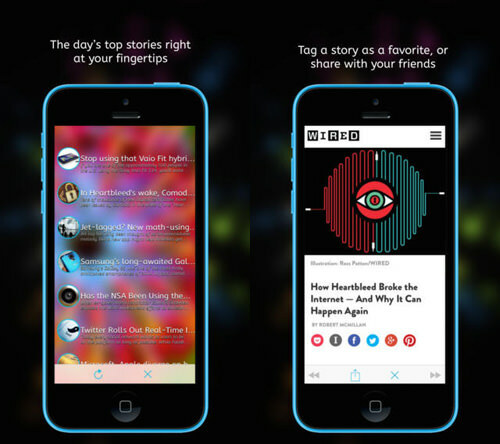 His latest app W8, aggregates news and events for those who like to read on the go. Already the app has garnered a review on The iPhone App Review and was updated as of April. Julian is not resting on his laurels yet as he’s still developing and thinking up more games. 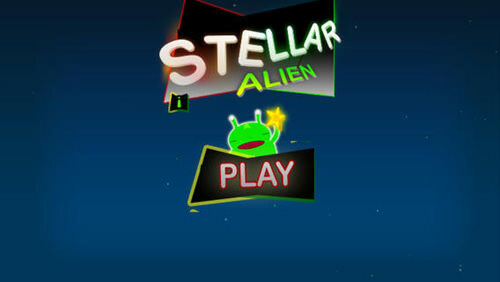 Maximillian Polhill’s game app Stellar Alien, inspired from physics, is a space-themed game involving aliens and spaceships. No biggie, except when you find out that physics came in the picture when Maximillian was creating a simulation of a planet’s gravitational pull on open source physics engine Box2D. It’s crazy what 15-year-olds are getting themselves into these days! Maximillian created the game in HTML5 and although Android does not support HTML5, the language he chose gave him options to host his game on the Chrome Web Store and Firefox Marketplace. As for the Android snag, Maximillian used Ludei to compile the code to mobile. It is now also available for the iPhone and iPad. 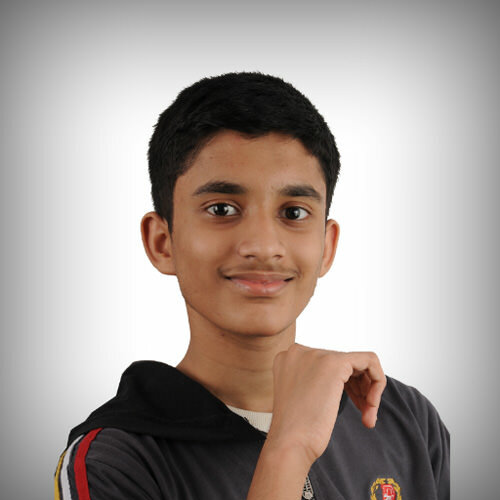 This 14-year-old first drew heads when he entered the MIT App Inventor Contest in 2012. Hailing from India, Arjun Kumar took home first place under the grade school category in the international contest. His app that won the contest? The Ez School Bus Locator. Made for parents who have kids traveling to school via school bus, the app does three things. 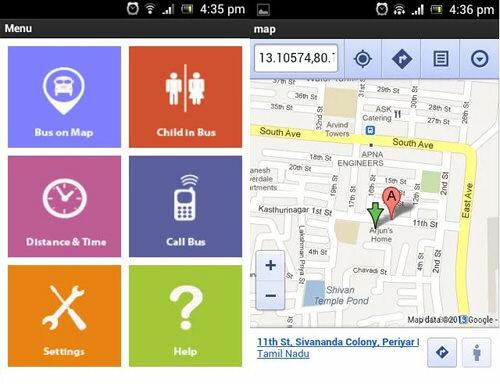 It lets them know where the bus is, whether their child is on the bus and calculates when the bus reaches home. It seems that Arjun’s goal is to create apps that will help society in general as he has lately released a safety app for women and girls called iSafeGuard. Like many on this list, Zack Banack developed video games. One school day however changed that when his friends were disappointed with the lack of snow and misleading existing weather apps. They suggested Zack to make a better one. He did, with the Whiteout Watch app. 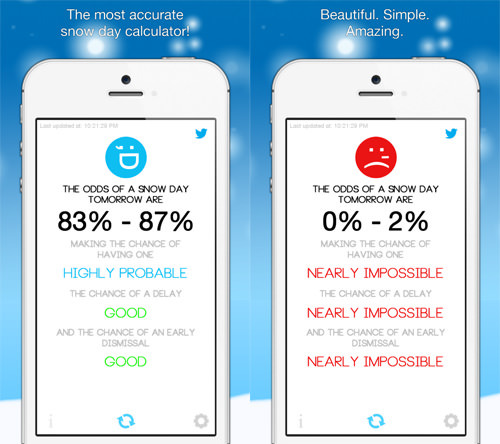 The app predicts the chances of a snow day by collecting and comparing various data like user location and real-time weather information. Although the results are not guaranteed to be correct since it is weather we are trying to predict here, Whiteout Watch is significantly more accurate than its competitor Snow Day Calculator. Its average rating of 5/5 stars, speaks for itself.